Get your Hands and Heart in the Action! 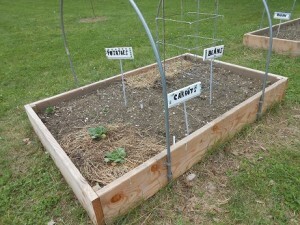 Thanks to the hands and hearts of many, the Williston Community Garden has been planted for the 7th consecutive spring. 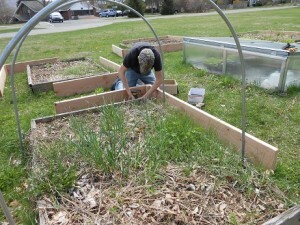 We have high hopes for a healthy harvest to help the hungry. 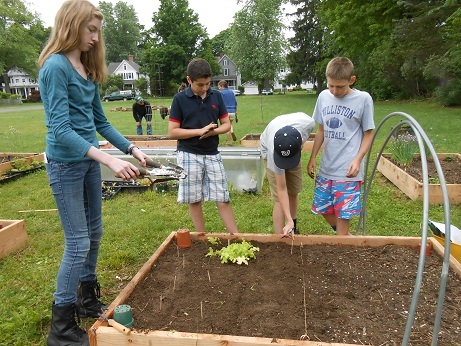 Both the Sustainable Life Club and the class of 2019 planted fall crops that are “good keepers”, a request of the Western Mass Food Bank who will be the recipients of this year’s harvest. After six years of producing crops in both the spring and fall seasons, the boxes surrounding the raised beds behind John Wright Dorm were becoming part of the soil. With the help of student Ben Chmielewski through the Work for Williston program, new boxes were built in time for this spring’s planting. 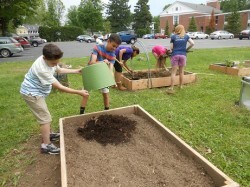 Students in the class of 2019 added compost to the soil in each of the beds and then planted seeds and seedlings in hopes of growing a healthy harvest to help the hungry served by the Western Mass Food Bank. 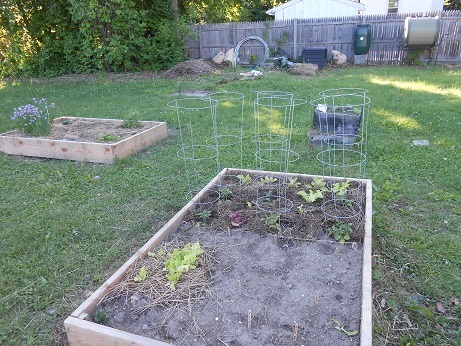 We look forward to sharing a variety of nutrient-rich potatoes, winter squashes, carrots, and Brussels sprouts.